2 of our chicks pulled out of the system pre battery as pullets. Sadly their beaks had already been seared. 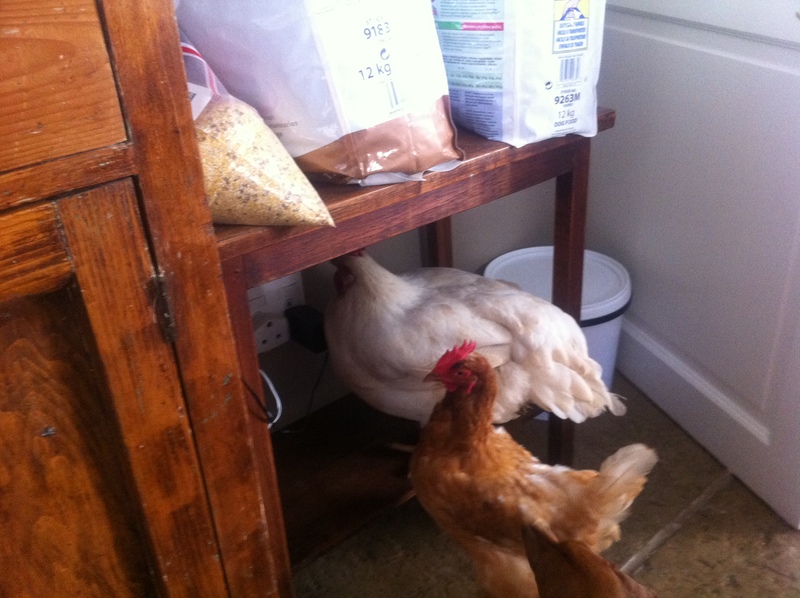 Here they come in to examine the quality of the dog food! This link was posted on our FB page by April Bowen. This is a scenario we are so familiar with in our rescues. I loved the clip, and the sensitivity and compassion with which it was put together.